Please contact us with the contact form to report difficulties, strange behaviors or persistent problems, and quote the program name or the number 23027 . 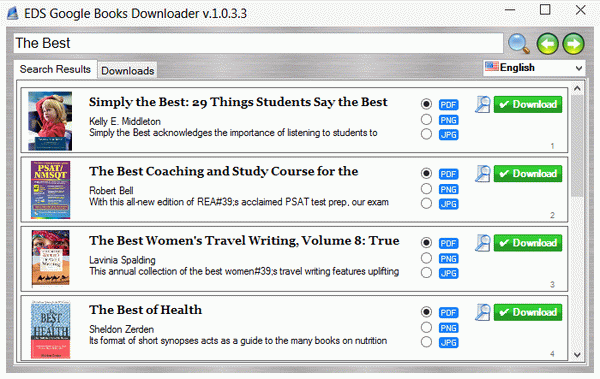 This is the download page for EDS Google Books Downloader - Using EDS Google Books Downloader you can download millions of books from libraries and publishers worldwide completely Free! The application supports the following formats for saving: PDF, PNG and JPG in order to open it with an image viewer or PDF reader. It is a important feature if you prefer to read the books on your computer instead of your mobile device.